IF YOU’RE BEING HONEST, CHANCES ARE that you have been guilty of some episodes of arrogance in your career. It is a natural occurrence of being human, after all, and so often comes with the status of being a physician. This may be overlooked if you’re a GP or in another insurance-accepting life-saving specialty. But in the elective scope of medical aesthetics, it is sure to result in patient exodus and negative reviews. The aesthetic doctor-patient relationship consists of shared perceptions and feelings circling around each patient’s concerns, possible treatments offered, and a caring environment. The best approach to communication integrates both patient and doctor-centered approaches so everyone’s goals are addressed. 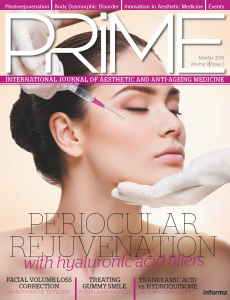 In aesthetic medicine, practitioners are not usually treating life threatening diseases, so the relationship is not the same as in a traditional medical practice. The main goals of doctor-patient communication are creating a good interpersonal relationship, facilitating an honest exchange of information, and focusing on patients’ needs, concerns and goals through the decision-making process. Effectiveness is often determined by the doctors’ ‘bedside manner,’ which may be considered a major indicator of general competence by patients. Dissatisfaction and complaints are often related to a breakdown in the doctor-patient relationship. The perception or misconception of a practitioners’ compassion or lack thereof and personal interest in them may outweigh confidence in their overall competence. There are many layers to this sensitive and tenuous relationship. In some cases, doctors may be inadvertently undermining the way they come across to patients which may be turning them off. The foundation of the doctor-patient relationship begins with the first point of contact; how you greet them. Excellent medical communication relies on the ability to engage with patients using considerate language. Not only does that demonstrate respect, it also honours their position, both intellectually and in life. Not all patients appreciate being addressed with a colloquial term of endearment like ‘my dear,’ ‘love,’ or ‘buddy.’ In fact, some may actually be offended. They are not your friends, partners or neighbours. 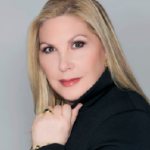 Aesthetic patients are essentially your clients or customers. They are coming to you (for now), but they could just as easily go down the street to someone else. So, put yourself in their position. When you go to your BMW dealer, you naturally expect to be treated with respect and courtesy as you should be. Similarly, patients who are coming to your practice for elective procedures for which they are forking over their Amex, deserve the same level of respect. It is wise to refer to patients by the name on their chart, at least at first. For adults, that means using Miss or Ms., Mrs., or Mr. and their surname. For a teenager, you can safely use just their first name. As the relationship develops over time, you may be able to transition from Mrs. to a first name basis. When in doubt, it is better to ask the patient how they prefer to be addressed and note it in their chart for future reference. This is especially true when staff are interacting with patients. No woman over 40 really wants to be called by her first name or a colloquial ‘hon’ or ‘sweetheart’ by a 20-something medical assistant who she has not established a relationship with. This is intended as a suggestion, not a rule. Some practitioners take a very friendly and casual approach to patients and it works well for them. If you want patients to call you by your first name, that is your choice. However, the nature of the relationship may be altered by this attitude, which can be good or bad depending on how you look at it. Your body may be sending signals even when you are not even speaking. Elements of body language can enhance or diminish the level of confidence you aim to project. Many of us are unaware of the subtle messages we are sending through our posture, hand gestures, and grooming. Something as simple as donning a stained lab coat, constantly fidgeting with a pen, or not making eye contact can turn patients off. It is important to stand erect, smile sincerely, and enter the treatment room with a welcoming attitude as if you are happy to see the patient. Always make eye contact when greeting a patient, instead of reviewing the chart or looking at an assistant and do so frequently during the visit. Use signs of empathy like head nodding in agreement and understanding, and not interrupting patients when they are speaking or asking questions. These actions give off a vibe that you care and take a real interest in your patients. If you don’t believe me, treat yourself to a tour of YELP and other review sites and see how often complaints and single star reviews appear that reference a doctor’s ‘cold’ or ‘uncaring’ demeanor. The advent of texting and direct messages has changed the landscape of doctor-patient communications today. Consumers now have high expectations for responses in real time. Routine communications have taken on an intensified sense of urgency. Patient want answers, and they want them now. This can lead practitioners to write routine notes that get sent quickly without considering the tone and quality of the content. Though usually intended be efficient, this form of correspondence can easily be misinterpreted as sterile or even hostile. In general, it’s wise to take some time to think before you speak, write, or text to be sure that your intentions are clear, and you are not sending out communications that can be misconstrued by the recipient. Also consider how that communication may be shared or taken out of context, either with others directly or posted online before you hit the send button. Everything you put out has the potential to end up somewhere you did not anticipate. You can delete a text or a tweet, but one screen shot will make it live forever. Consistently including salutations, bullet points, short paragraphs, and clear explanations can change the tone of email exchanges to make them seem more friendly and personal. Similarly, if you are the recipient of correspondence that is terse or hostile from a patient, never respond in haste. Rather, let it rest and revisit it later when you may be in a different frame of mind. Try not to take it personally because the intent may be misunderstood. This is especially true of online reviews, ratings and social media posts. Sleep on it before you respond and then regret it later. 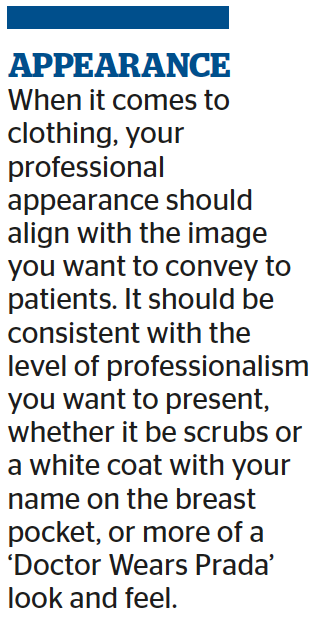 You’ve surely heard this a thousand times; ‘It’s not what you say, but how you say it.’ In general, aesthetic practitioners should aim to communicate non-judgmental interest in patients in an atmosphere of comfort, support, and security. At the end of the day, cosmetic patients tend to like doctors who are nice. To that end, your tone and choice of words can make a big difference. Consider this sentence; ‘So, Mrs. Porter, how are you doing TODAY?’ vs. ‘Hello Mrs. Porter, how are YOU doing today?’ Clearly, the latter is a warmer tone and shows more interest in how the patient is feeling with the emphasis on her. The former phrasing, although ostensibly perfectly fine, shows a vague lack of engagement with the patient. Whereas, both phrases get the job done to open the conversation at the patient visit, there is a subtle difference. Also consider both the verbal and non-verbal messages you may be giving off. Always strive to appear patient-centered to reassure patients that you are really interested in them as a person. This can help to create a more caring and comfortable atmosphere. Listen actively and give patients the opportunity to tell their story. Most patients just want to be heard, and frankly, they may be nervous in front of a physician who is an authority figure. Your questions should evolve from what the patient says rather than strictly from a preset agenda. First, accept the reality of patients’ concerns. They are coming to your practice looking for solutions. You can try to adjust their thinking later on as you establish rapport. These concerns are real to them at least, and it is helpful to work with the patient by listening and communicating interest and offering your support. Empathy will take you quite far in dealing with cosmetic patients, and it is not exactly an Olympian sport. You can show empathy by simply demonstrating an understanding of the patient’s self-image, pain, fears, distress, and concerns, while maintaining your objectivity. Providing empathy can improve patient satisfaction and keep them coming back to your practice for additional treatments. For example, ‘What can I help you with today?’ This question shows that you are on the patient’s side and interested in what he or she is concerned about. Don’t just guess because you can be way off. Understanding the reason for the patient’s visit can help gauge the direction of the discussion. Patients have certain ideas of what they should have done that may be entirely different from what the practitioner is thinking. These should be addressed and acknowledged before any re-education, if needed, can be undertaken. 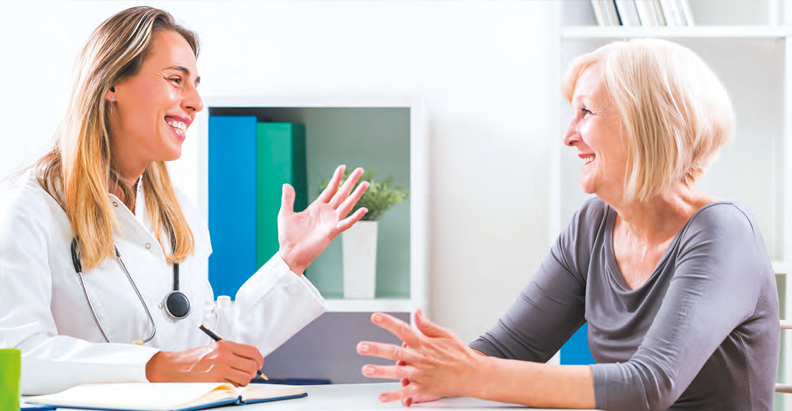 ‘What concerns or questions do you have?’ By offering an opportunity to express their concerns, the patient may be more receptive to hearing your advice and continuing the dialogue. It sounds trite, but there is no stupid question when it comes to doctor-patient communication. If you are too busy or not interested in having this kind of dialogue with every patient, make sure there is a staff member who can fill that void in your practice. Try to validate the patient’s feelings to a reasonable extent. It’s not uncommon for patients to be dissatisfied because their expectations were not met. For example, a patient may come in expecting a one-time solution and you recommend a series of treatments at specific intervals. If the differences in expectations are discussed up front, a resolution can be achieved by mutually planning realistic goals. When patients disclose personally meaningful information, they may experience shame or embarrassment. Validate the patients’ feelings rather than close the communication by a quick reassurance or solution. A validating statement to a patient who is feeling self-conscious may be, ‘I can see how this has affected your life,’ or ‘I understand your frustration’. This can lead the way to further dialogue. Be aware of personal thoughts and feelings. Some patients may interact in ways that are perceived as resistant to recommendations, demanding or unreasonable. This may relate to earlier negative experiences or they just may be having a bad day that has nothing to do with you. Try not to respond by being defensive, annoyed or impatient. Rather, show understanding to alleviate their anxiety and stay on course. You can only address the warning signs head on if you know how to recognise them. Sometimes a simple acknowledgement and apology can go far to restore a rocky doctor-patient relationship. However, if you let it fester for too long, it may become irreparable and in today’s climate, the consequences can be severe. For example, if a patient is scheduled for a follow-up appointment or doesn’t show or reschedule, a red flag should be raised. If you suddenly receive a ‘Request for Records’ from another practice or an attorney, your heart may skip a few beats. These are the consummate indicators that you missed the early warning signs and the opportunity to make things right. Another potential warning sign is a patient who overlooks boundaries in terms of calls, unexpected, frequent or overly long visits, excessive emails or other forms of correspondence with the practitioner or staff. A staff member with authority may be able to present the practice’s policies in a way that will not be perceived as rejecting or belittling to the patient. In this instance, make it clear that you value the patient’s relationship to the practice to distill any fears of abandonment. Regrettably, patient discontent can be stirring even when many doctors consider the relationship to be decent or even good to very good. Practitioners who engage in good communication skills and establish rapport early are more likely to have satisfied patients. Education may involve eliciting the patient’s understanding, addressing misunderstandings, providing information needed to answer their questions, and checking the patient’s understanding of what was discussed. Provide clear explanations for symptoms and treatments. Cosmetic patients today want to actively participate in the process which can be communicated by offering several treatment options with risks and benefits and empowering the patient to make the choice. Patients may also have fears, such as a lack of control over the healing process, scarring, potential complications, and end results. Identify their concerns, acknowledge them and reassure them that you understand what they want to achieve and are on the same page. Try to avoid platitudes and vague reassurances like, ‘Don’t worry, everything will be fine,’ that may be interpreted as dismissive or condescending. Patients are human and all humans are flawed in some way. You can never go wrong if you treat patients like you would want your friends and family to be treated.